The author identifies the major micro-, meso-, and macro-level financial risk shifting factors that contributed to the Great Global Recession and how the absence of a compelling moral vision of responsible financial risk management perpetuated the economic crisis and undermined the recovery by blind reliance upon insufficiently accountable bailouts. 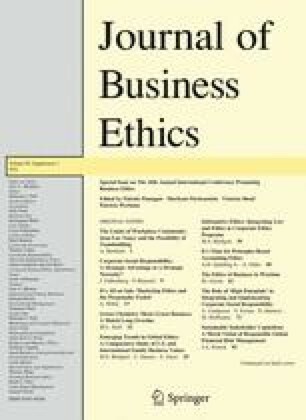 The author offers a new theoretical model of Sustainable Stakeholder Capitalism by exercising moral imagination which inclusively and moderately balances four multi-level factors: types of capitalism, moral theories, human nature drives, and credit risk profiles. Finally, the author recommends micro-, meso-, and macro-level practical reforms to prevent a recurrence of the current economic freefall, to re-create systemic global financial institution integrity, and to promote responsible risk management for sustainable global prosperity for current and future generations.